Two weeks ago, I was fortunate enough to be able to hike the Inca Trail for 4 days to get to Machu Picchu (one of the items on my bucket list) It was tough, but rewarding. On the 4th day, we woke up at 3:30 am and hiked the last 2 hours to get to the main site so we could watch the sun rise over Machu Picchu. As the clouds parted, the historic city came into view and it was breathtaking. Also important to note – it was taking my breath away quite literally as we were at ~8000 ft (~2400 m) above sea level. 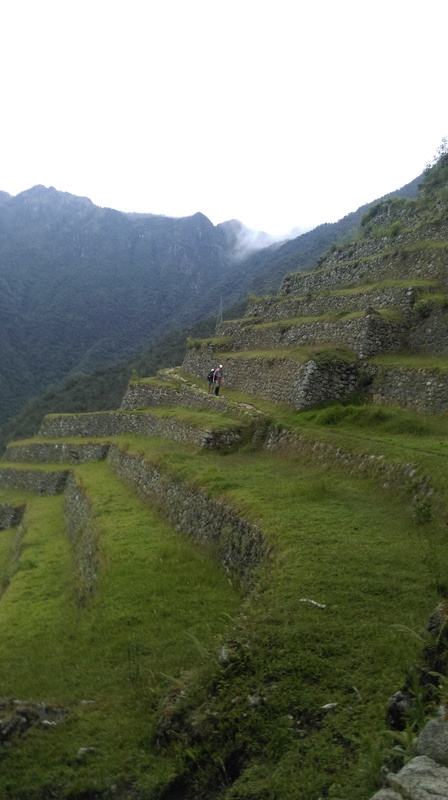 During the hike, we climbed to about 13,800 ft (4200 m) above sea level and then hiked down to Machu Picchu. At the highest point of the trail, we would be out of breath every 10 steps or so; it felt like there just wasn’t enough oxygen in the air. Not surprisingly, altitude sickness is common at this height which can lead to symptoms ranging from headaches, to difficulty breathing, to dizziness and nausea. Chewing coca leaves and staying hydrated helped our group avoid major symptoms. Throughout the hike, I took long, deep inhales and controlled my exhales by breathing out fully. There was no better time to put Ujjayi breathing to use. Ancient yoga masters were among the first ones to fully understand and discuss the importance of diaphragmatic breathing and its benefits. Ujjayi breathing is quite an efficient way to use the O2 you inhale. Furthermore, as we reached the campsite each evening, we did some lovely yoga poses to stretch our sore quads, hamstrings, shoulders, IT bands, hips and more. So moral of the story – Yoga is a highly versatile and adaptable resource to be used wherever you go. As always, thanks so much for stopping by and reading!